The name says it all! The Ultimate Bar Book is a comprehensive guide to over 750 cocktails. 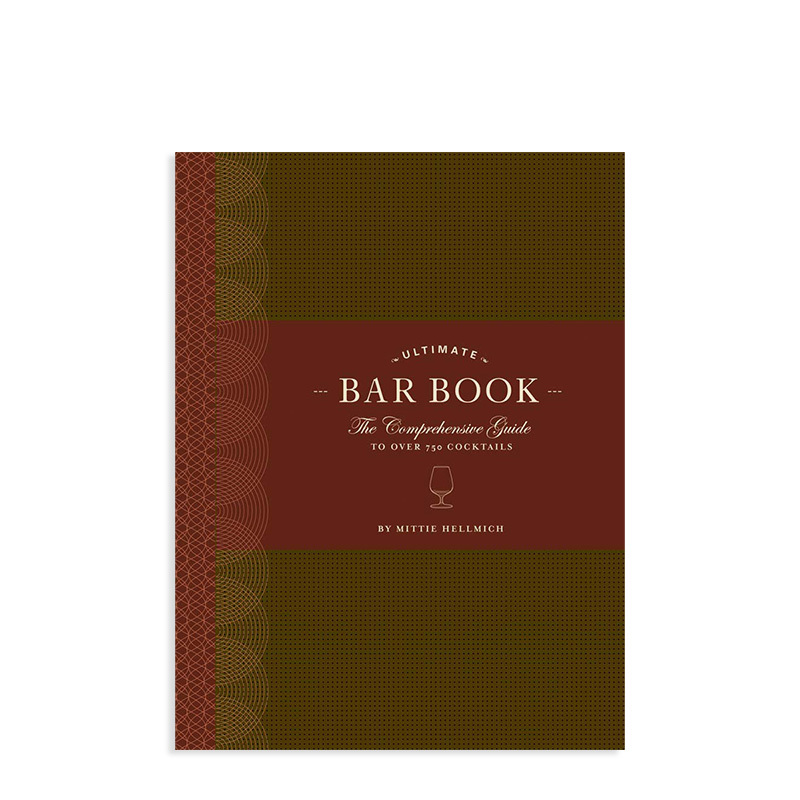 Sections dedicated to essentials such as bar equipment as well as a glassware guide are just a preface to detailed information on how to make and present the perfect drink. Easy and fun to read, you don't even need to be making a drink to be enthralled with this fabulous guide. A great gift for anyone who takes their drinking seriously. Said to be 'inspired by the enduring magic of books', Chronicle Books has been publishing charming and imaginative books since 1967. As an authentic and diverse company, Chronicle Books sells their creative products all over the world. They are an international company, but they stay loyal to their local roots by having three stores in San Francisco. Chronicle Books publishes a wide variety of topics, such as lifestyle, art, children, food and drink, and pop culture. Chronicle Books sets a shining example as an environmentally conscious and socially responsible company, given that they raised over $15,000 dollars for victims of Hurricane Sandy and devoted more than 1000 employee hours to building houses after Hurricane Katrina. Chronicle Books are said to be witty, eclectic, and inspiring, as well as boasting 23 published New York Times Best Sellers to date. Chronicle Books makes a point by publishing works that are recognizable for their spirit, creativity, and value.